Over the past decade, the revolution in gaming has created new communities, identities, and careers. Games can now help detect early dementia, reduce pain felt by burn victims, and may help speed healing from concussions. They also have many of us obsessed with playing them, providing countless hours of entertainment for both kids and adults alike. What is gained and what is lost as a result of the current “gamification” of life? Is play mostly about having fun or does it also have a higher purpose? How are games shaping the future and what it means to be human? Those questions and many more will be discussed at the second installment of the “Questions That Matter” series, presented by the Institute for Humanities Research at UC Santa Cruz. It all takes place on Tuesday, March 1, in downtown Santa Cruz at the Kuumbwa Jazz Center, beginning at 7 p.m. The series is designed to bring together two or more UC Santa Cruz scholars in conversation with community residents and students to explore questions that matter to all of us. The topic this time out is “PLAY: Games, Life, and Death.” The featured guests will be UC Santa Cruz professors Kimberly Lau (Literature) and Noah Wardrip-Fruin (Computational Media). History professor Nathaniel Deutsch, director of the Institute for Humanities Research, will serve as the moderator. The Questions That Matter series is designed as both a lecture and a conversation, with plenty of time built in for audience questions and answers. “It’s also the case that the university has one of the best gaming programs in the country, and we’re right next door to Silicon Valley, so this is an ideal place host such a conversation,” Deutsch added. 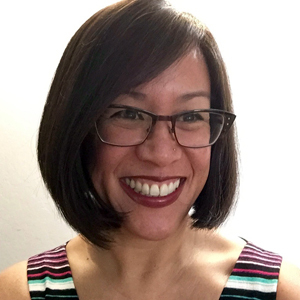 Lau is a professor of literature at UC Santa Cruz, where she teaches courses on virtual worlds, fairy tales, vampire narratives, and theories of gender, race, and sexuality. One of her ongoing research projects considers World of Warcraft, one of the most popular online games ever. She is the author of several books and articles, including The Political Lives of Avatars: Play and Democracy in Virtual Worlds. Wardrip-Fruin is a professor of computational media who co-directs the Expressive Intelligence Studio at UC Santa Cruz, a technical and cultural research group focused on games and computational media. His projects have been presented by art venues such as the Guggenheim Museum and the Whitney Museum of American Art, as well as in games venues such as IndieCade and the Independent Games Festival. 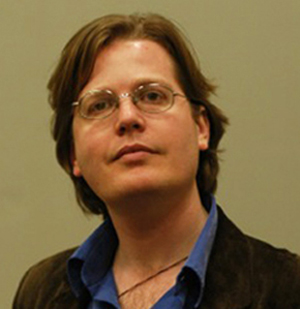 His most recent book is Expressive Processing: Digital Fictions, Computer Games, and Software Studies (2009). 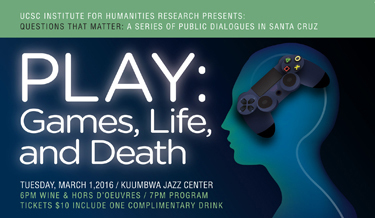 Questions That Matter: “PLAY: Games, Life, and Death” takes place on Tuesday, March 1, at Kuumbwa Jazz Center, in downtown Santa Cruz. Doors open at 6 p.m. for wine & hors d' oeuvres. The program begins at 7 p.m. Tickets are $10, including one complimentary drink, available at ihr.ucsc.edu/play. This event is co-sponsored by Bookshop Santa Cruz, the Santa Cruz Public Libraries, and the Kuumbwa Jazz Center. For more information, call (831) 459-5655 or email ihr@ucsc.edu.